Place the eggs, milk, Borderfields oil, sugar and vanilla extract in a large mixing bowl and beat together. Sieve in the baking powder, bicarbonate of soda and flour into the oil mixture. Add the chocolate chips and mix until blended. Line a muffin tray with muffin cases and fill each case to just below the top with the muffin mixture. Place in the oven for 20 minutes or until firm to the touch. Once cool, decorate with chocolate icing and more chocolate chips. 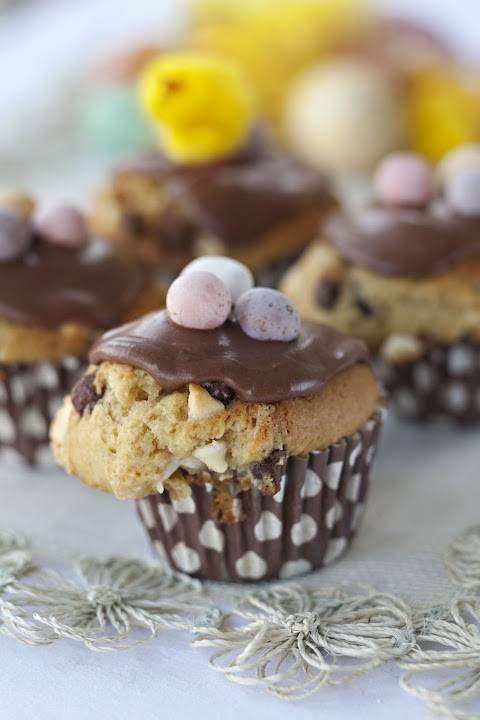 For Easter muffins decorate with mini eggs. "7 Ways To Follow Wednesday Blog Hop # Week 8…." Ooh, yummy! I love muffins, and 2 kinds of chocolate chips? That's awesome. These look amazing Claire, please come and share on OMHGWW this week!Enjoy the rest of the week!